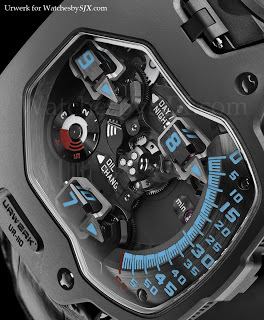 Urwerk just announced a limited edition UR-110 Torpedo made exclusively for Singapore retailer The Hour Glass. First presented with an uncoated steel front plate last year, the UR-110 has already seen several variants, including the champagne coloured UR-110 ZrN. 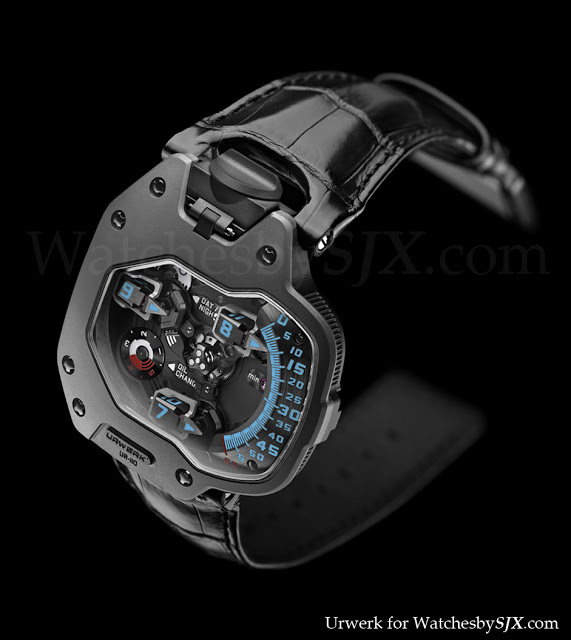 This edition has a steel front plate coated in aluminium titanium nitride (AlTiN) paired with blue numerals and indices. Only five pieces will be made. The retail price is SGD199,000, or about USD160,000 which is a pretty big jump from the steel UR-110 but about the same as the ZrN.